Somethings Missing Tracts - Pack Of 25 by Salser, Doug was published by Crossway in August 2012 and is our 3755th best seller. The ISBN for Somethings Missing Tracts - Pack Of 25 is 9781682162132. 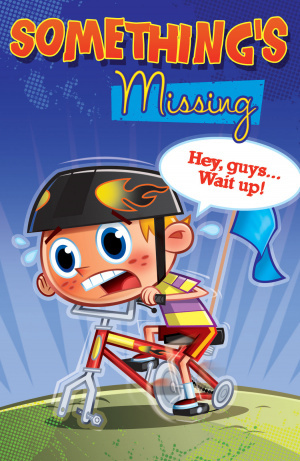 Be the first to review Somethings Missing Tracts - Pack Of 25! Got a question? No problem! Just click here to ask us about Somethings Missing Tracts - Pack Of 25. A:I've added a PDF of the tract to the product page. Thank you for using the Q&A Forum. A:I have added a PDF of the tract to the page. Thank you for using the Q&A Forum.